We've all heard about black holes, but no one has actually captured an image of one, including the event horizon — the edge of a black hole from which light can't escape. 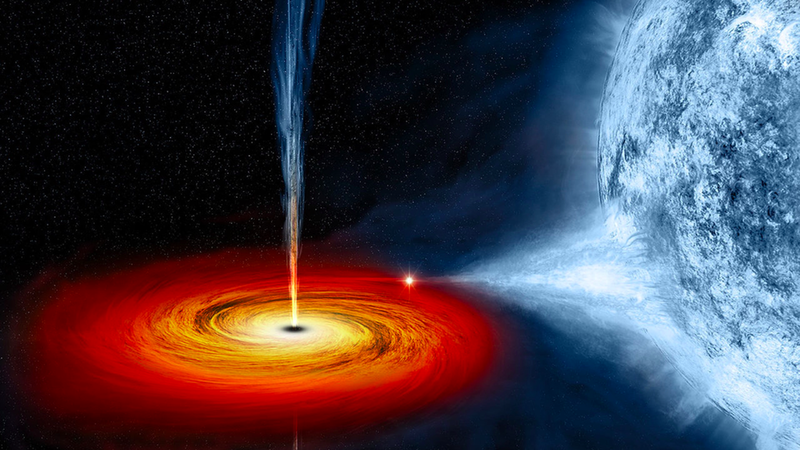 For the first time, scientists have put together a worldwide project called the Event Horizon Telescope in an attempt to finally get a look at a black hole, per Vox. The target: Sagittarius A, the presumed supermassive black hole that sits at the center of our galaxy, located about 26,000 light years away. For a sense of scale, trying to capture an image of Sagittarius A is like trying to snap a picture of a DVD on the moon, a University of Arizona astrophysicist told Vox. The plan: Point 8 giant radio telescopes located around the world at Sagittarius A for 10 straight days — in effect, creating a virtual Earth-sized telescope — in an attempt to generate enough data to get a look. The benefits: It could provide our best confirmation yet of Einstein's theory of relativity, and scientists might finally be able to test Stephen Hawking's theory that black holes lose mass over time.